Ryan Currie presents Damon Harge (Class of 2018; Orlando Christian Prep) workout at Rollins College with Iren Rainey of Evolve Basketball. 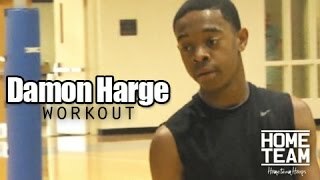 Damon Harge Workout With Iren Rainey – Evolve Basketball. Ayinde Sprewell Is A Crazy Athlete With Game!! Nephew Of Letrell Sprewell. Damon Harge Mini Doc | Workout With Iren Rainey. 6'6 Dwayne Bacon Is A KILLER On The Court... Official Mixtape Vol. 3 - Oak Hill Academy.